156 97-06 There are 27 products. 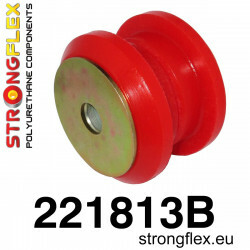 ref: 016079A Material: POLYURETHANE (PUR/PU) Hardness 90ShA Pcs / KIT: 26 Notes: Measure Anti Roll Bush diameter before placing order. To every product we add grease! 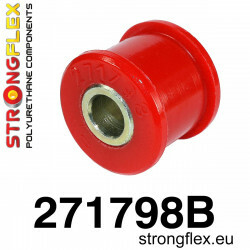 ref: 016079B Material: POLYURETHANE (PUR/PU) Hardness 80ShA Pcs / KIT: 26 Notes: Measure Anti Roll Bush diameter before placing order. To every product we add grease! 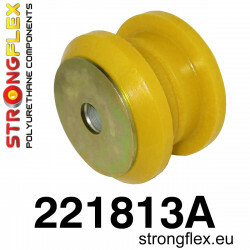 ref: 016075A Material: POLYURETHANE (PUR/PU) Hardness 90ShA Pcs / KIT: 12 Notes: Measure Anti Roll Bush diameter before placing order. To every product we add grease! 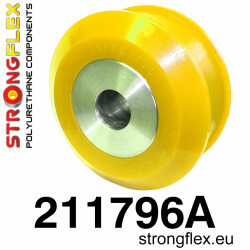 ref: 016075B Material: POLYURETHANE (PUR/PU) Hardness 80ShA Pcs / KIT: 12 Notes: Measure Anti Roll Bush diameter before placing order. To every product we add grease! 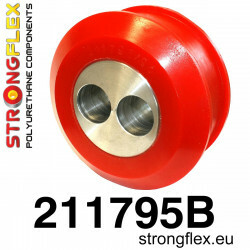 ref: 016076A Material: POLYURETHANE (PUR/PU) Hardness 90ShA Pcs / KIT: 14 Notes: Measure Anti Roll Bush diameter before placing order. To every product we add grease! 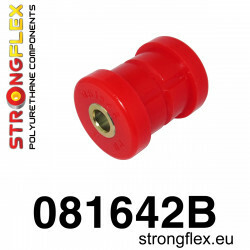 ref: 016076B Material: POLYURETHANE (PUR/PU) Hardness 80ShA Pcs / KIT: 14 Notes: Measure Anti Roll Bush diameter before placing order. To every product we add grease! 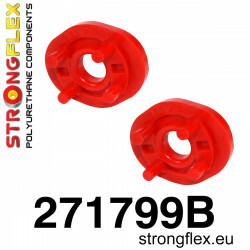 ref: 011597B Material: POLYURETHANE (PUR/PU) Hardness 80ShA Pcs/prod: 1 Required/car: 2 To every product we add grease! 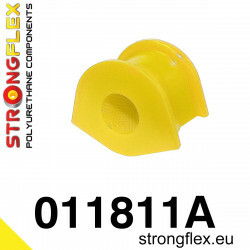 ref: 011188A Material: POLYURETHANE (PUR/PU) Hardness 90ShA Pcs/prod: 1 Required/car: 2 Notes: Measure Anti Roll Bush diameter before placing order. To every product we add grease! 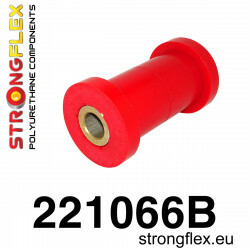 ref: 011188B Material: POLYURETHANE (PUR/PU) Hardness 80ShA Pcs/prod: 1 Required/car: 2 Notes: Measure Anti Roll Bush diameter before placing order. To every product we add grease! 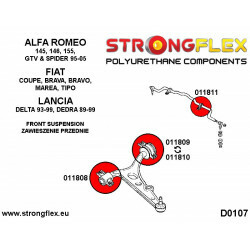 ref: 011191A Material: POLYURETHANE (PUR/PU) Hardness 90ShA Pcs/prod: 1 Required/car: 4 To every product we add grease! ref: 011191B Material: POLYURETHANE (PUR/PU) Hardness 80ShA Pcs/prod: 1 Required/car: 4 To every product we add grease! 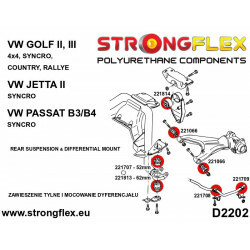 ref: 011297A Material: POLYURETHANE (PUR/PU) Hardness 90ShA Pcs/prod: 1 Required/car: 2 To every product we add grease! 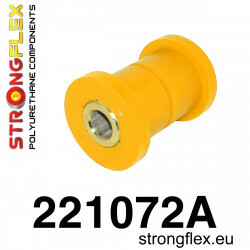 ref: 011297B Material: POLYURETHANE (PUR/PU) Hardness 80ShA Pcs/prod: 1 Required/car: 2 To every product we add grease! ref: 011492A Material: POLYURETHANE (PUR/PU) Hardness 90ShA Pcs/prod: 1 Required/car: 2 To every product we add grease! ref: 011492B Material: POLYURETHANE (PUR/PU) Hardness 80ShA Pcs/prod: 1 Required/car: 2 To every product we add grease! 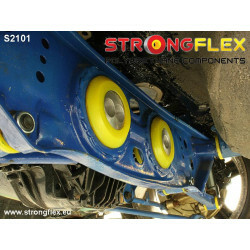 ref: 011300A Material: POLYURETHANE (PUR/PU) Hardness 90ShA Pcs/prod: 1 Required/car: 2 To every product we add grease! 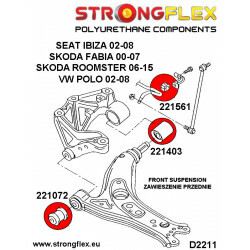 ref: 011300B Material: POLYURETHANE (PUR/PU) Hardness 80ShA Pcs/prod: 1 Required/car: 2 To every product we add grease! 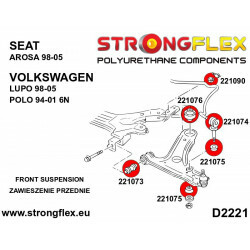 ref: 011876A Material: POLYURETHANE (PUR/PU) Hardness: 90ShA Pcs/prod: 1 Required/car: 2 To every product we add grease! ref: 011876B Material: POLYURETHANE (PUR/PU) Hardness: 80ShA Pcs/prod: 1 Required/car: 2 To every product we add grease! ref: 011186A Material: POLYURETHANE (PUR/PU) Hardness 90ShA Pcs/prod: 1 Required/car: 4 To every product we add grease! 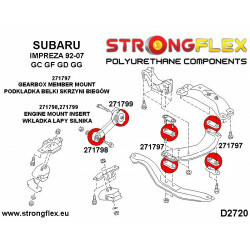 ref: 011186B Material: POLYURETHANE (PUR/PU) Hardness 80ShA Pcs/prod: 1 Required/car: 4 To every product we add grease! ref: 011189A Material: POLYURETHANE (PUR/PU) Hardness 90ShA Pcs/prod: 1 Required/car: 4 To every product we add grease! ref: 011189B Material: POLYURETHANE (PUR/PU) Hardness 80ShA Pcs/prod: 1 Required/car: 4 To every product we add grease! ref: 011705A Material: POLYURETHANE (PUR/PU) Hardness: 90ShA Pcs/prod: 1 Required/car: 2 To every product we add grease! 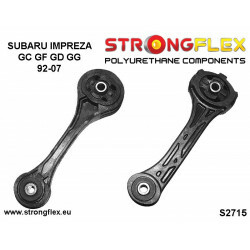 ref: 011705B Material: POLYURETHANE (PUR/PU) Hardness: 80ShA Pcs/prod: 1 Required/car: 2 To every product we add grease! 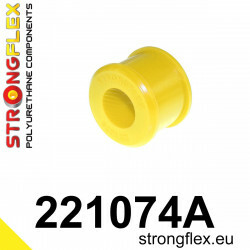 ref: 011187A Material: POLYURETHANE (PUR/PU) Hardness 90ShA Pcs/prod: 1 Required/car: 2 Notes: Measure Anti Roll Bush diameter before placing order. To every product we add grease! 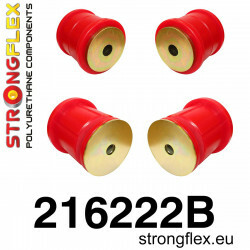 ref: 011187B Material: POLYURETHANE (PUR/PU) Hardness 80ShA Pcs/prod: 1 Required/car: 2 Notes: Measure Anti Roll Bush diameter before placing order. To every product we add grease!